A Sacramento highway accident occurred along westbound U.S. Route 50 on February 8 that involved five vehicles. It happened shortly after 12:00 noon, according to the California Highway Patrol (CHP), just east of the 65th Street offramp. The collision caused at least one injury that required the services of an ambulance. Emergency personnel with the Sacramento Fire Department were on hand to assess the injuries. The vehicles were identified as an RV, Ford Focus, Subaru and others. Lanes four and five were blocked for a time as well as the exit ramp for 65th Street. The accident will be under investigation by the CHP to determine the cause and assign fault. A Sacramento car accident can involve a single or numerous vehicles. 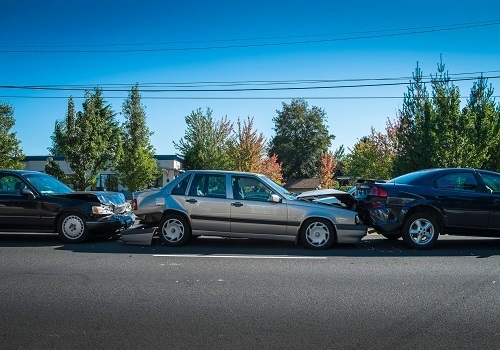 Frequently, a two-car collision causes multiple vehicles to impact one another. This is referred to as a pile-up. A multiple vehicle accident often results in severe or fatal injuries. This occurs because a single vehicle can be hit numerous times, usually from different angles. This compounds the violence of the crash since airbags work only once, and the side panels of a vehicle have less driver protection. In a Sacramento highway accident involving multiple vehicles, it is challenging to say who was responsible for the crash. For instance, a rear end collision can initiate a multiple vehicle pile-up, particularly in heavy traffic. An attorney is charged with determining whether his or her client shares any fault in the accident. This can affect the amount of compensation they receive. To do this, it is necessary to sort out the events leading to the crash. Reviewing the police reports is generally the first step. This provides a documented rendition of the collision complete with witness statements and those of the individual drivers. The next step, providing the attorney has the experience and resources to do it, is to obtain the services of accident reconstruction experts. This gives the attorney a picture of how the accident occurred, often using computerized rendering. The attorney will also question witnesses and the principles in the crash. California uses the principle of comparative fault. This allows each driver to be held responsible for the accident. 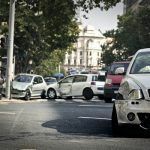 Sometimes only one driver is responsible, but in a Sacramento highway accident pile-up, multiple drivers may hold some degree of responsibility. Each injured party may claim damages for that part of the accident for which they were not responsible. For instance, vehicle one hits vehicle two in the rear. This pushes car two into vehicle three, which leaves its lane and crosses into the next lane, hitting vehicle four. Who was at fault? It would seem as though vehicle one was at fault. However, investigators find out that vehicle two had broken brake lights, lulling vehicle one’s driver into thinking it was not stopping. So, in this case, vehicle two bears some of the fault. Let’s say the jury decides that vehicle two was 30 percent responsible, but that vehicle one, which was speeding at the time, was 70 percent guilty. The driver of vehicle two would still be able to collect 70 percent of his or her damages. A Sacramento highway accident involving multiple vehicles can be complicated. An experienced injury lawyer can help. 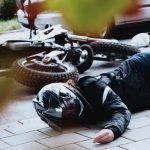 By using crash reconstruction and expert witnesses, along with other evidence, the lawyer can prepare a case so those who were injured can receive fair compensation. I’m Ed Smith, a Sacramento car accident lawyer. Multiple vehicle collisions are complex and require the help of an experienced lawyer to obtain fair compensation for injuries. 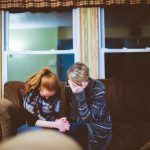 Please call for free and friendly advice about your case at (916) 921-6400, toll-free number at (800) 404-5400 or my online contact form located at my website, AutoAccident.com. I’m a proud member of the National Association of Distinguished Counsel. Membership in this group is only by invitation and recognizes less than 1 percent of the lawyers around the country, whom they believe hold the highest standards of legal excellence. I am also honored to belong to the Million Dollar Forum, which was established to recognize trial lawyers who have won more than $1 million for a client. 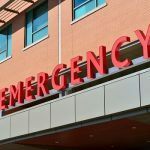 Over my 37 years as an injury lawyer, I have obtained fair compensation for many residents of Sacramento and Northern California for their accident injuries. This includes all types of motor vehicle crashes, traumas such as brain injuries and cases involving wrongful death.